This Emergency First Aid at Work (RQF) Level 3 Award qualification is designed for individuals who wish to act as an emergency first aider in their workplace. Upon successful completion of this Emergency First Aid at Work qualification, candidates will be equipped with the essential skills needed to give safe, prompt and effective first aid in emergency situations. What’s more, as a regulated qualification, employers can book this course for their employees and rest assured that they have fulfilled their legal responsibilities for providing quality first aid training, without having to undertake any lengthy due diligence checks introduced in the recent HSE changes. We can deliver this Emergency First Aid at Work course on-site at your place of work to a group of up to 6-10 staff for only £425.00 +Vat. Delivered directly in your workplace anywhere in Liverpool, across Merseyside and the North West. You can be assured that you are meeting your First Aid Training requirements by attending this course which is Ofqual regulated. 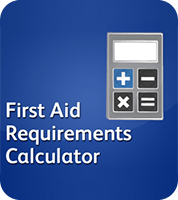 The Cost for the Emergency First Aid at Work ‘Open Course’ per delegate is only £70.00 +Vat. Emergency First Aid at Work (EFAW) training enables a first-aider to give emergency first aid to someone who is injured or becomes ill while at work. First Aid at Work (FAW) training includes EFAW and also equips the first-aider to apply first aid to a range of specific injuries and illnesses. The Emergency First Aid at Work Training is a comprehensive one day course and is highly practical, designed to cover essential first aid skills of smaller workplaces. Ideal for those who work in lower risk workplaces including staff working in offices, teachers and staff, retail shops, hotels and most public working areas. Please visit the HSE website for more information on the Health and Safety Executive First Aid requirements. Duration: One Day – We understand that each business has its own working demands and because of this we offer flexibility to ensure we can deliver this course directly in your workplace at a time best suited to your business needs. This course is designed for people who need to receive emergency first aid training, should it be highlighted on your risk assessment for training. All delegates will have the knowledge and confidence to provide the organisation with Emergency First Aider’s that can provide treatment to their casualties in a safe and confident manner. 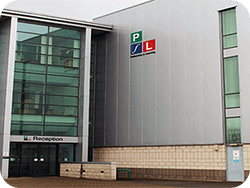 This course will allow an individual in the workplace to act as the Emergency First Aider. It can be tailored to meet the environmental requirements of your organisation or the individual, all delegates will gain the knowledge of emergency first aid procedures in order to attain this Level 3 Award (RQF). The 1 Day Emergency First Aid at Work course now includes the safe use of an Automated External Defibrillator. 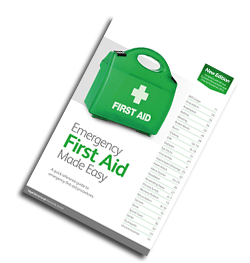 Cost includes a FREE first aid at work manual for all delegates. Because this is a fully accredited first aid course you can be assured that you have fulfilled your legal responsibilities for providing quality first aid training to your staff. Please visit our First Aid at Work updates page for more information. Assessment and Certification: Assessment for this course will be carried out by the instructor throughout the course. On completion of the training successful trainees will receive an accredited first aid Level 3 Award in Emergency First Aid at Work (RQF) certificate, valid for 3 Years. For more information on our Emergency First Aid at Work courses please email us. 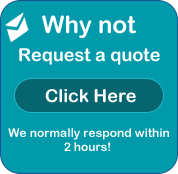 Or why not call us on 0151 515 0416 and speak to our staff. This 1 Day Emergency First Aid at Work training course is fully accredited and is ideal for individuals who wish to act as an emergency first aider in their workplace.